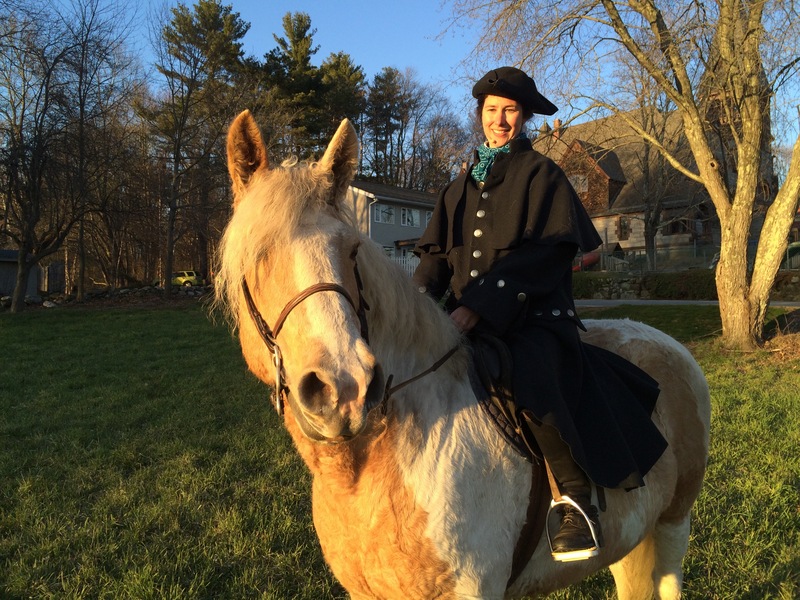 Riding in the Patriot’s Day reenactment as Captain William Smith was my barn mate, Lindsay, riding Curly. Curly gets very excited every year. She knows her part! April 18th is famous in Massachusetts as the day that Paul Revere rode to raise the alarm that the British were marching to Concord to seize the Militia’s cache of weapons. Almost every school child has hear the poem by Henry Wadsworth Longfellow. Here’s the rest of the poem . . . But for those of us who live in Lincoln, Massachusetts, we know that Longfellow’s poem wasn’t quite accurate. Because Lincoln is where Paul Revere was captured by the British. Yup. The capture site is in the Minute Man National Park, right across the street from the Lincoln transfer station (i.e., dump). Paul Revere did ride out but not alone. He and William Dawes rode to Lexington to warn John Hancock and Samuel Adams that the British were coming to arrest them. 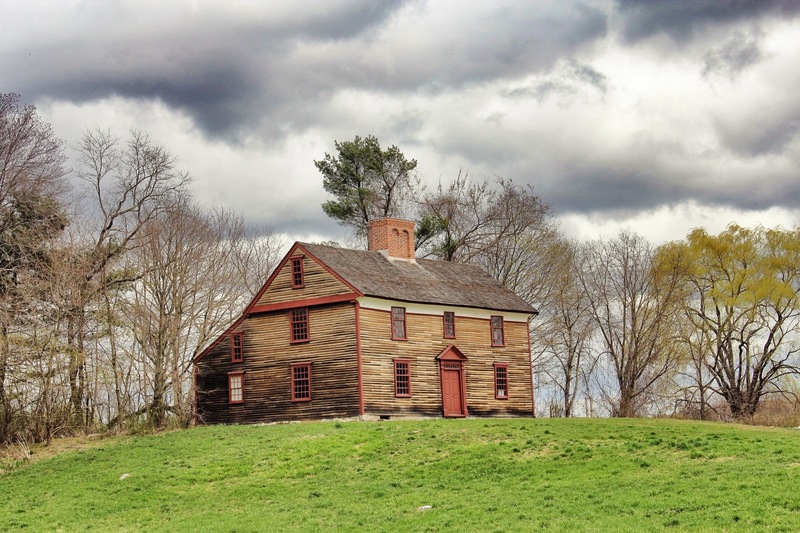 From Lexington they rode toward Concord, where they met up with Samuel Prescott, a doctor who had been courting his wife-to-be and was heading home, around 2 a.m. The three riders were ambushed by the British. The soldiers grabbed the bridle of Revere’s horse and captured him — Dawes and Prescott escaped and rode off in different directions. The William Smith house, located on Battle Road in the Minute Man National Park, was lived in continuously until the 1970s when it was purchased by the park. It was recently restored and is now open to the public as a museum. Soon after, Dawes fell after his horse spooked, leaving him on foot. Prescott, who knew the area, managed to ride on. One of the people he alerted was William Smith, Captain of the Lincoln Minute Men, who rode into town and raised the alarm. The raising of the muster is a big deal in Lincoln, even today. Not as big a deal as the events in Lexington and Concord, but every year, we gather around the old church to watch Captain William Smith raise the alarm. Thankfully, not at 2 a.m. Thank you! Glad to know you are enjoying the somewhat eclectic mix here.